Intelsat 35e is a commercial communications satellite built by Boeing Space Systems for operation by Luxembourg-based global telecommunications provider Intelsat as the fourth in the company’s Epic-NG satellite series designed to provide flexible communications services. The Epic architecture delivers global high-throughput services utilizing the C-, Ku- and Ka-Bands, a combination of wide beams and spot beams as well as frequency reuse to provide a high degree of flexibility to customers. 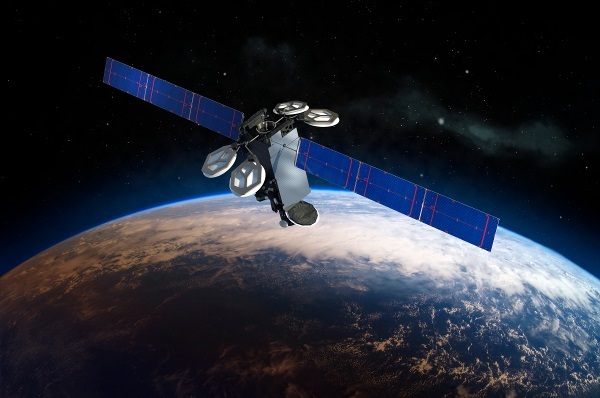 The Intelsat 35e satellite combines a high-throughput Ku-Band and C-Band package to deliver high-performance services through a combination of C-Band wide and spotbeams and large Ku-Band coverage zones. The combination of high-capacity spot and wide beam coverage enables improved throughput for data-intensive services like wireless backhaul, enterprise and mobility services in areas where weather patterns necessitate the use of the more robust C-Band spectrum. The Ku-Band payload delivers a customized high-power wide beam for Direct-to-Home Television distribution in the Caribbean, and services for mobility and government applications in Europe, the Caribbean, and Africa. 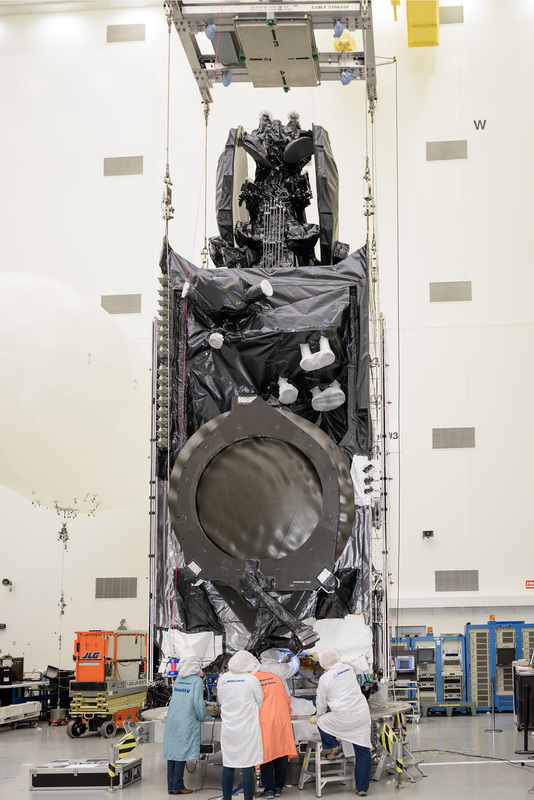 The C-Band payload on Intelsat 35e has a combined bandwidth of 4,465 MHz, hosting 124 transponders (36 MHz equivalent units) that deliver a total of 17 coverage areas. Covered by the C-Band package is almost the entire European continent with the exception of the extreme northern and southern regions; C-Band coverage over Africa is provided to all sub-Saharan countries and in coastal areas; a northern beam covers Greenland; dedicated beams deliver Coverage to portions of North America and the entire Caribbean Sea; and South America is covered in its entirety with the exception of Argentina, Southern Chile and Uruguay. 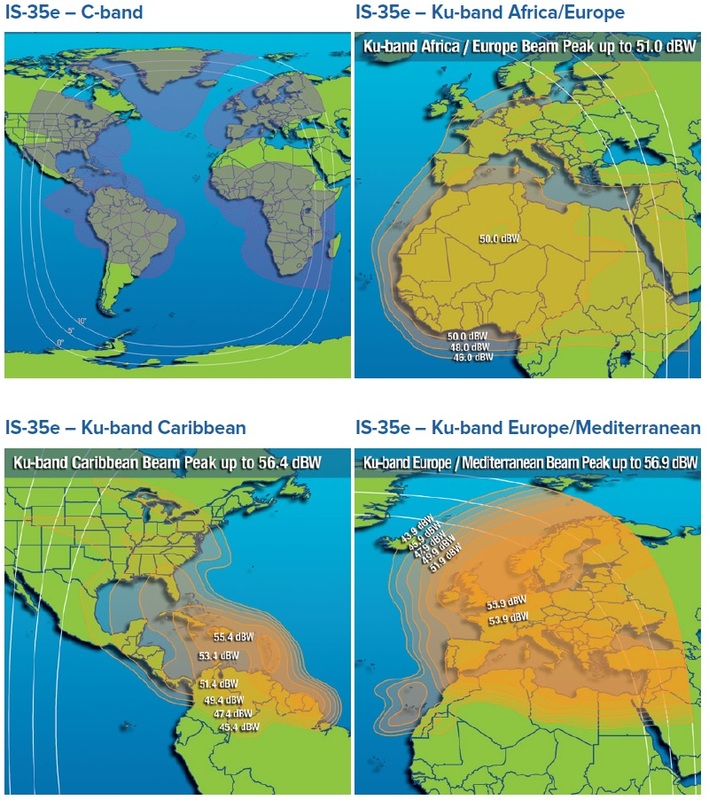 Intelsat 35e hosts 39 (36 MHZ equivalent) Ku-Band transponders with a bandwidth of 1,404 MHz, delivering three distinct coverage zones that carry services to the entire European Continent and Northern Africa, Western Africa and the Sahara countries, and the Caribbean. The Ku package operates at frequencies of 10.95-11.20 and 11.45-11.70 GHz for downlink and 13.75 to 14.50 GHz for uplink. Interference is avoided by combining different frequencies and polarizations, allowing frequency reuse over the same geographic area. Intelsat expanded frequency re-use from the traditional Ka-Band high-throughput application to the C- and Ku-Band spectrum which can be combined with traditional wide and spot beams for high-throughput and broadcasting services from a single satellite. 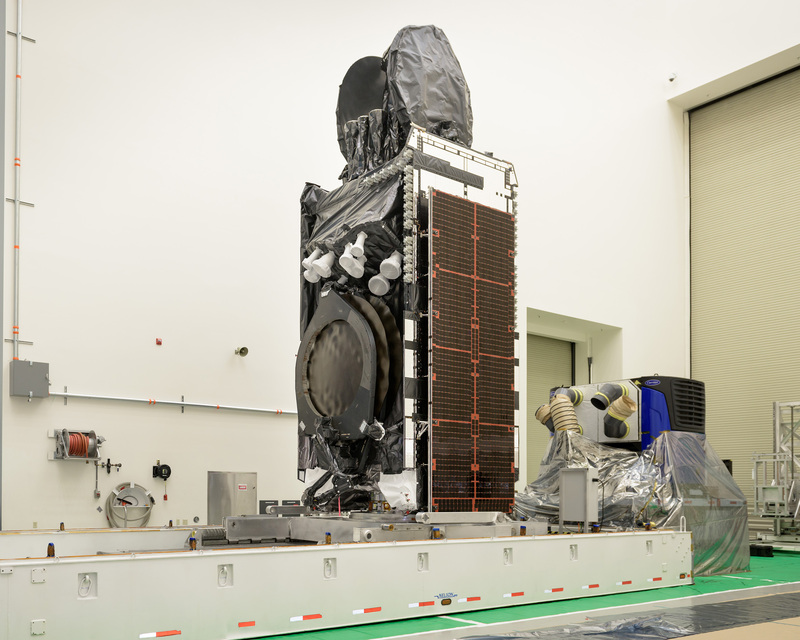 Intelsat 35e uses Epic technology for its C-Band payload only. Intelsat signed with Boeing in 2009 to be the first customer for the 702MP medium-power version of Boeing’s flagship satellite bus, ordering four satellites (21, 22, 27 and Intelsat 29e as the first Epic satellite). An additional order was placed in 2013 for another four 702MP-based Epic satellites and a ninth 702MP (the sixth Epic) craft, Intelsat 35e, was ordered in May 2014. After ordering the Intelsat 35e satellite, Intelsat announced initial services for customers would begin using the Intelsat-903 craft, launched in 2002 and residing at 34.5 degrees West. Services will seamlessly transition to Intelsat 35e as the 903 satellite enters decommissioning after its planned 15-year service life. Intelsat 35e is launched fairly close to its initial expectation of a 1st quarter liftoff in 2017 despite significant delays suffered by SpaceX. Built for a 15-year service life, Intelsat 35e has a launch mass of 6,761 Kilograms, taking Falcon 9 beyond its first stage recovery capability and requiring a fully expendable launcher.